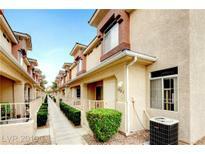 Below you can view all the townhouses for sale in the Durango Trails subdivision located in Las Vegas Nevada. Listings in Durango Trails are updated daily from data we receive from the Las Vegas multiple listing service. To learn more about any of these townhouses or to receive custom notifications when a new property is listed for sale in Durango Trails, give us a call at 702-930-8014. Community prime location for all your shopping, golfing, and entertainment needs. Priced to sell! MLS#2088252. Empire Realty & Management. This beautiful 3 bedroom townhouse is located in a gated community near Summerlin, features a large master suite with walk-in closet, kitchen with newer counter tops, back splash, stainless steel appliances & an attached 2 car garage. MLS#2087679. BHHS Nevada Properties. Gated security and a community pool and spa. MLS#2081142. United Realty Group. Including recess lighting, hanging light, laundry room, water softener, large walk in closet in master and more. MLS#2079415. Renaissance Realty Inc. 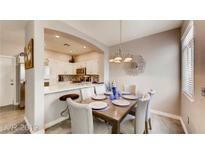 Fantastic community w/park, freeway access, shopping, schools & playgrounds. MLS#2078666. GK Properties. Two Car Garage w/opener. Solar Screens, porch off front MLS#2079188. ERA Brokers Consolidated. Hurry This Amazing Property Wont Last Long. MLS#2054059. Impress Realty LLC. Features To Include: Freshly Painted Two Tone Paint, New Flooring Throughout, Open Lving Room, Kitchen W/ Breakfast Bar, New Faucet, New Garbage Disposal, Master Suite With Large Walk In Closet, Bedrooms With Plenty Of Closet Space, New Fixtures, New Faucets, New Garage Floor Paint, New Blinds, Ceiling Fans, New Garage Door, Nice Community Pool And Features! MLS#2037609. Brazill Team Real Estate.